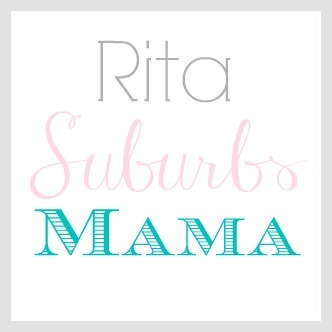 Suburbs Mama: 100th day of school! 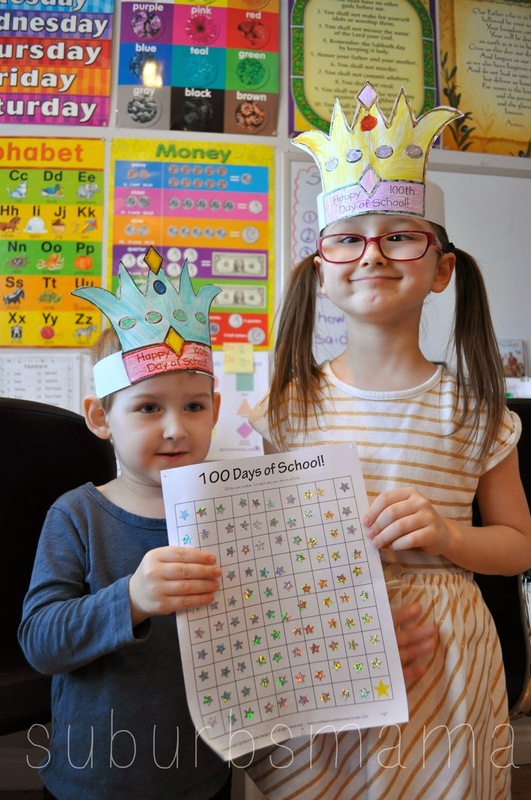 We recently celebrated our 100th day of school! I truly can not believe that I have taught my kids for 100 days already! For someone who was very skeptical about homeschooling (maybe one day I will do a whole post on that), I am truly so grateful to God for putting me on this path. 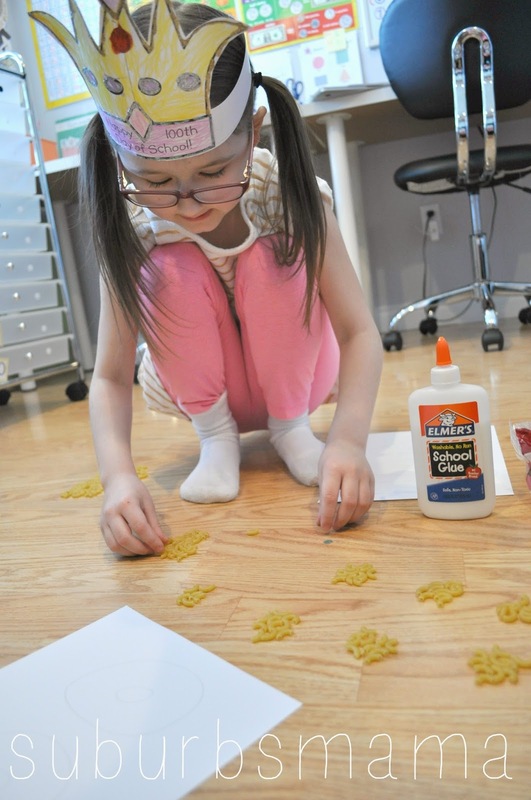 I love teaching my kids and watching them learn! I can see so much growth in each of them in these 100 days! I am very proud of them both! To start out this special day, the kids chose to have their favorite: French Toast for breakfast. 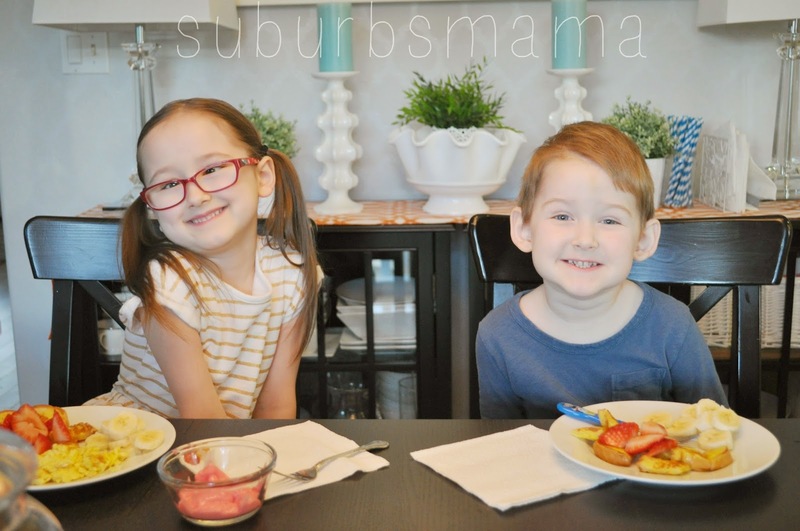 They are such little helpers, Nico scrambles the eggs for me and Em helps dice the strawberries and set the table. We made paper crowns to mark this occasion, and the kids had to bring 100 of something to class, then create 10 groups of 10 to get 100. Em brought some beads and Nico brought blocks, off course Em helped him count. 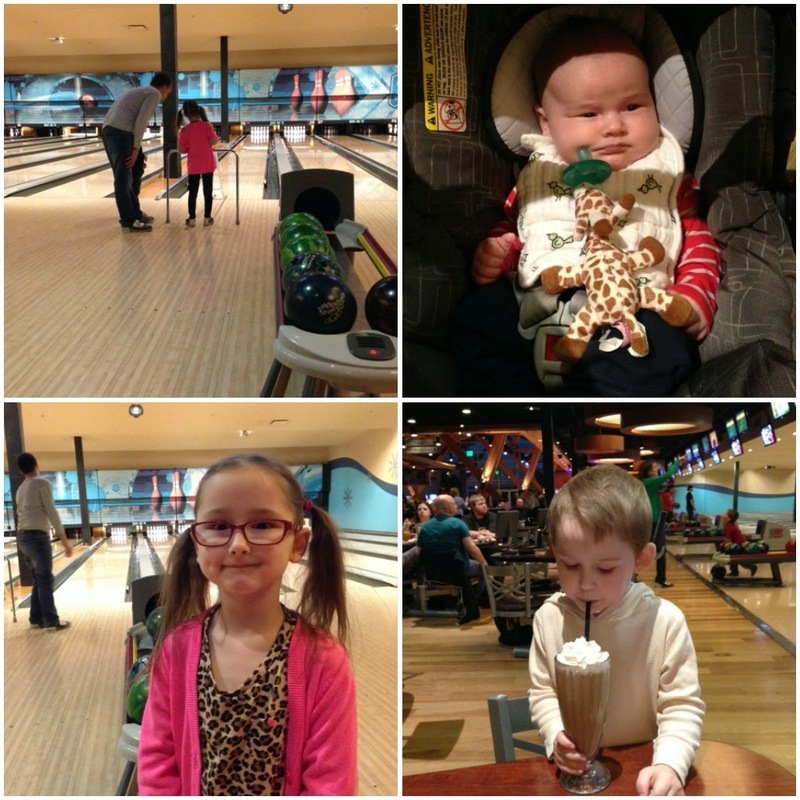 The kids have wanted to go bowling for a while, now. We decided and surprise them for the 100th day of school, they were thrilled! And Em beat me! Hubby got the highest score and Em was in second place. Lets just say I am a bit rusty when it comes to bowling. Which means we will finish school in June. I am planning on taking a summer break and resume back in the fall with a new curriculum. 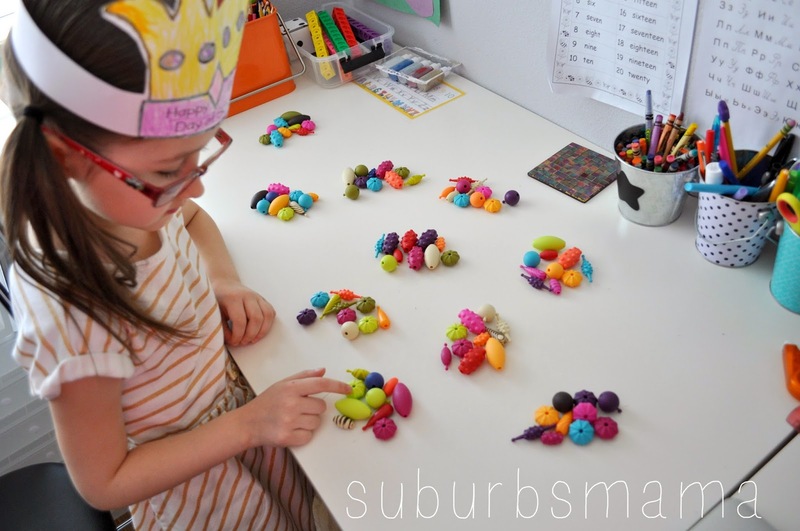 Here are a ton of ideas on how you can celebrate your 100th day of school.